A very refreshing dessert, bursting with tropical flavours. Dry toast the buckwheat in a pan until fragrant and browned. Take the pan off the heat and add the ginger with 1 tbsp sweetener. Add a little water (no more than a tbsp) and stir until the water evaporates and the sweetener and ginger is well mixed in with the buckwheat. Place in the bottom of two tall glasses. 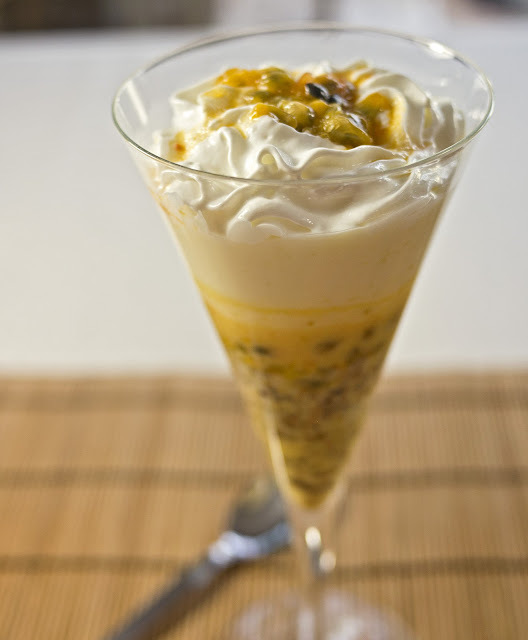 Remove the seeds, pulp and juice form 4 of the 5 passion fruits and place in a bowl. With an electric whisk, whip up the egg with the other tbsp of sweetener. In a double saucepan (or in a bowl over gently simmering water), stir the egg with a wooden spoon until it has thickened. This will take about ten minutes. Make sure the water doesn't touch the bottom of the bowl and the heat is not too high, otherwise you will end up with scrambled eggs rather than custard. 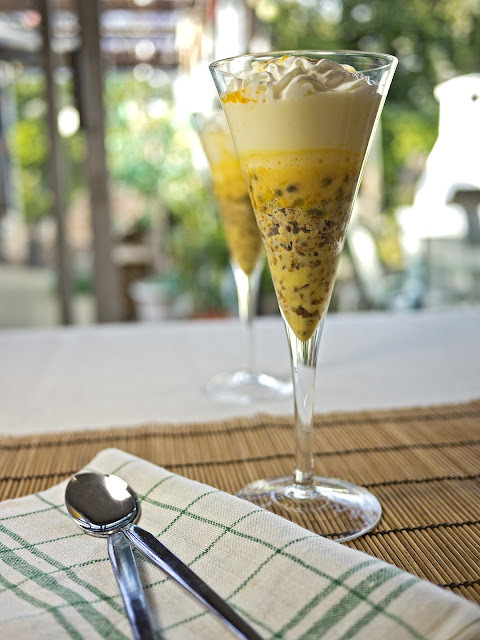 Mix the passion fruit with the custard and pour into the glasses on top of the buckwheat. Chill in the fridge for two hours. 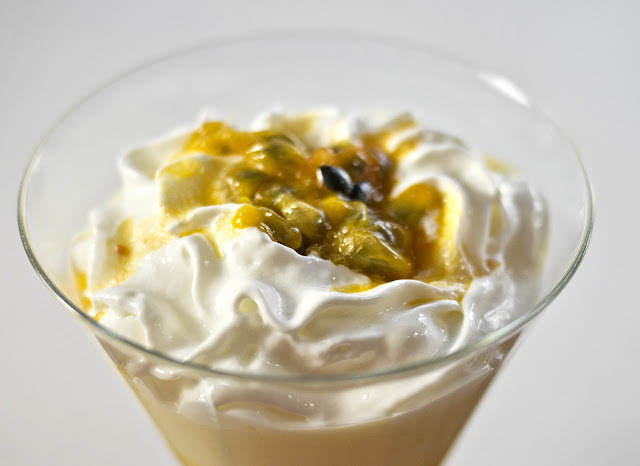 Divide the yogurt, then the spray cream between the two glasses and top with the pulp, juice and seeds from the last passion fruit.